Is cursive writing becoming a lost art? Not with the Lower Case Cursive Magnatab! Learn to make the lowercase letters using the magnetic pen and following the directional arrows. 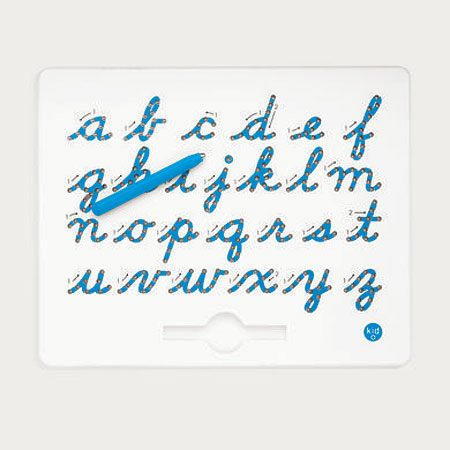 The Magnatab makes learning how to write in cursive easy and enjoyable. Tracing each scripted letter with the stylus helps provide a sensory reinforced lesson. Following the directional arrows, draw over each scripted letter with the stylus. Children hear the clicks and see letters take shape! Easy to start over, just erase with the tip of a finger. Quality constructed to use over and over again.